One of the most successful family hotels in the country is investing in the future. The Phelan family of the Kilford Arms, John Street Kilkenny manage 77 hotel bedrooms, a number of bars, function rooms and the longest running night club in the south east, Pegasus. They are not ones to rest on their laurels and have: Upgraded the lounge and bar areas, put in a new bandstand, brightened the reception areas, developed a new games room and put in a new state-of-the-art kitchen with every conceivable piece of modern technology to ensure food is fresh and top class. Pius, Sheila, Oliver, Louise, Alan and Kerrie Phelan and extended family and loyal staff a number of who have over 35 years plus service, are conscious of the history of the establishment and the bedroom where Eamon de Valera stayed, nearly 100 years ago, is still there, obviously it now has free wifi, satellite tv and all the modern twists and services you would expect from a top quality, city centre hotel serving tourists and business people with equal enthusiasm. At the height of the tourism season, the Kilford Arms hotel employs over 100 people. It is an untold success story. Pius Phelan did however, inspire international headlines some years ago when he bought a deconsecrated, intact church in Wales, shipped it over to Ireland and rebuilt it (minus the roof) inside his famous Pegasus night club. It is stunning. As well as superb cuisine, revellers' have a choice of smoking areas and while other clubs around the country are suffering, Pegasus and the Phelan family are bucking that trend with multiple dance areas on different levels and DJs in comfortable surroundings where you can relax or let loose. It's your choice. 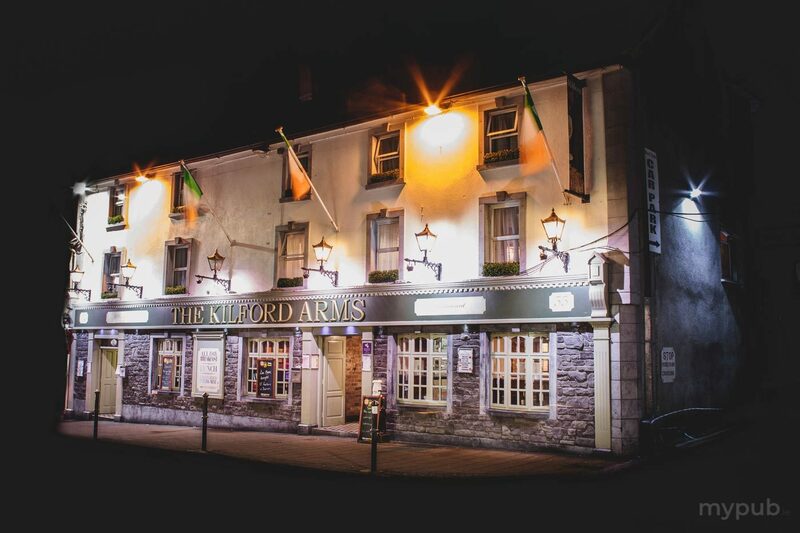 The achievements of the Phelan’s in the Kilford Arms often goes unnoticed, it's an empire created by a south Kilkenny man, Pius and his wife, Sheila from Clare. That 40 year tradition is being carried on by the family and the future looks bright for the Kilford. And the dynasty stretches to the Glendine Inn on the city's Castlecomer road where Pius and Sheila's son, Alan heads up the family business offering great food, drinks and accommodation in what is both a local and a tourist haven.